My kids first response when they heard the words "Naked Cafe" was "do we have to be naked to eat there"? Ummm, no! Naked in this case means they are using fresh, mostly organic ingredients, no preservatives, and cooking most things from scratch. 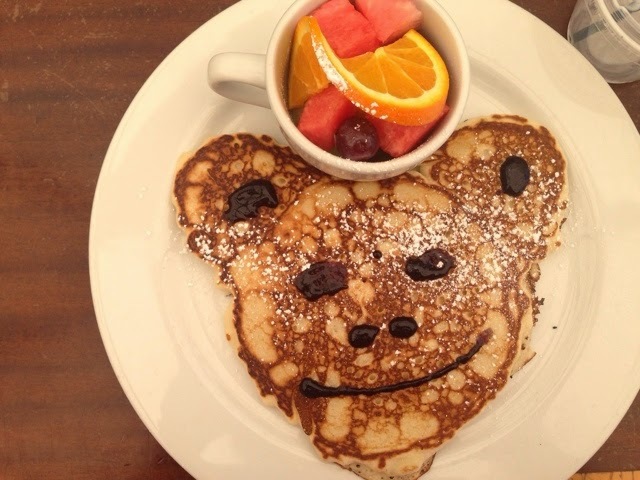 Besides these cute little bear face pancakes, they offer a wide variety of healthy breakfast options with eggs and veggies, salads, a rice bowl, fresh baked bread, and a variety of herbal teas and coffees. 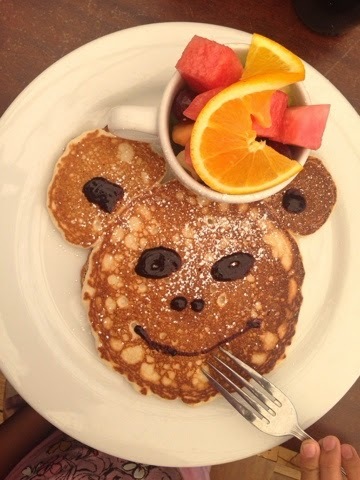 I shared a large fruit plate with a friend and my husband had a breakfast burrito. This is my kind of restaurant. It's not too far to the super health nut side. It's in that comfortable place where we can all find something to eat and not be hungry afterwards. If you ever find yourself in San Diego, I highly recommend it! We all need a hack when it comes to healthy eating, right? 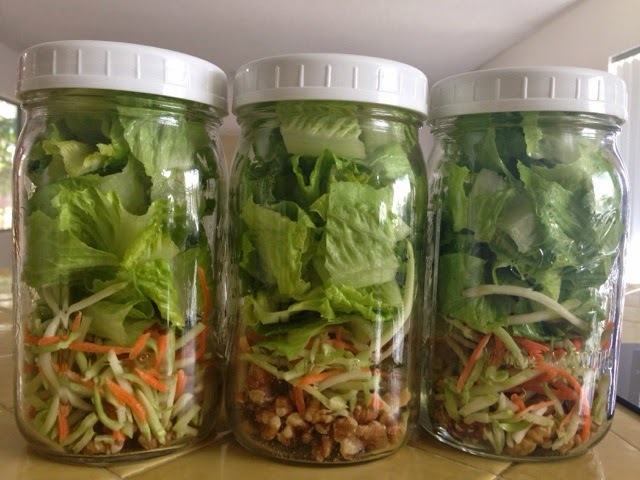 Welcome to "Salads in a Jar", if you've never seen them before. It's not a new concept, just Google the term or go on Pinterest. Lots of ideas exist on how to fill these jars! You can find a set of 32oz Bell Mason Jars at your local hardware store or grocery store or Amazon.com. Base salad meaning it serves as a base that you can add to and change up every day so that you are not eating the exact same salad every day...so that you don't start to feel like a cat or dog or someone on a special diet ;-) You can do these for the whole week if you want to. Depending on what you put in them, they should stay fresh...however 7 jars will take up a chunk of space in your refrigerator. That's why I only prep 3 at a time. Pick a nut or seed or both...I like Walnuts and Hemp Seeds. Chose a dressing. 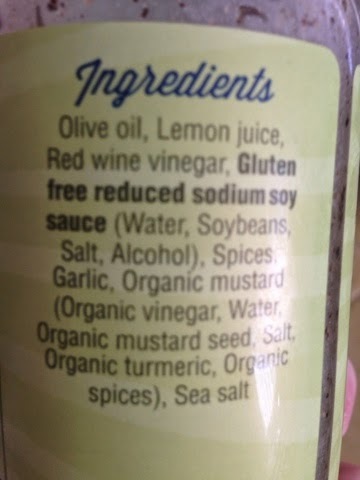 You can make your own or choose one with fewer ingredients and with olive oil instead of Canola. 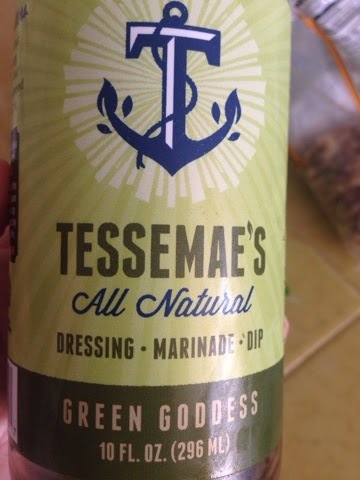 I like Tessemae's Green Goddess Dressing! Pick an assortment of fruits or veggies like bell peppers, cucumbers, avocado, tangerines, apples, etc. to customize your salads. Schedule 5 minutes on Sunday to make your salad jars for Monday-Wednesday. Then prep another 3 on Wednesday night for the rest of the week. 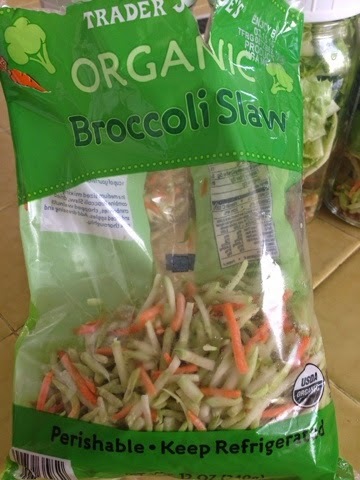 Use my photo as a guide to layering the salads. Pair the salads with soup if the salad will not be enough food for you. I often use Trader Joe's Lentil and Minestrone soups in their prepared foods isle near the produce section. And that's it! Have fun! !